Where Can You Buy Bulk Batteries from Medic Batteries? Where can you buy bulk batteries from Medic Batteries? Medic Batteries leverages technology to deliver the kind of personalized and professional service you associate with a local, family-owned business...no matter where you work or live in North America. Our home base is in Cleveland, Ohio. If you live near Cleveland, we are your local, family-owned business delivering top quality bulk batteries from the most reliable brands. Our website is the most convenient place for you to shop with us; however we are available by phone, or via email, chat, social media... whichever communication channel you prefer...to provide expert advice and make sure you are a happy customer. 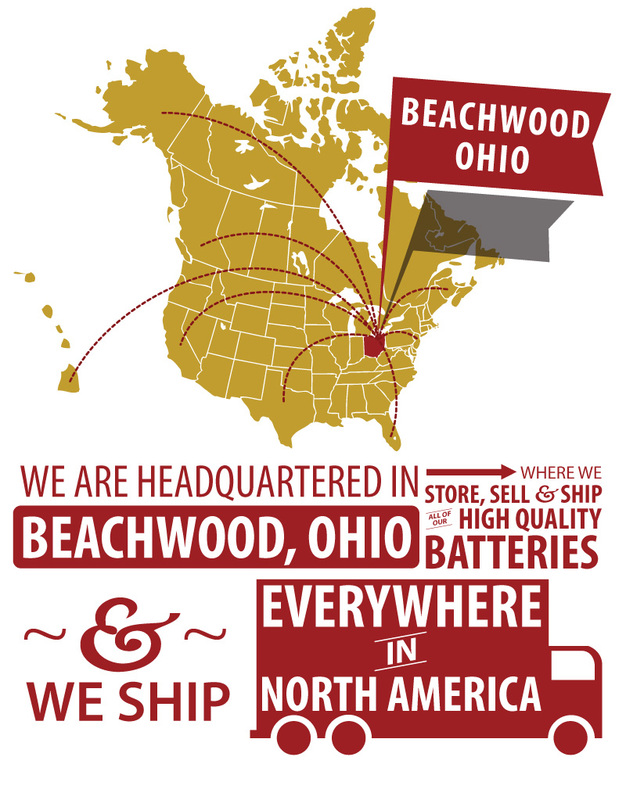 If you do wish to visit us in person to pick up or place an order, our headquarters are located in Beachwood, Ohio. Please call in advance and schedule an appointment so that we can have someone ready to serve you. Our offices are open to visitors with an appointment from 10 AM to 5 PM EST.